Former NYPD cop Anna Valentine just landed her first homicide case: the grisly double murder of a wealthy young couple. But it couldn’t have come at a worse time. Recovering from personal tragedies, the young police office just moved with her traumatized child to the suburbs where she hoped to pursue a quiet life and heal. To complicate matters, although she’s sworn off men until she and her son are happy and whole again, Anna feels the pull of attraction to the handsome twin brother of one of the murder victims, a man who has yet to be crossed off the suspect list. Teaming up with lead detective Jerry Kreeger, a 57-year-old veteran cop who’s lonely, broke and close to burnout, Anna chases a crafty killer and ultimately exposes a family’s shocking secrets that will rock a town. 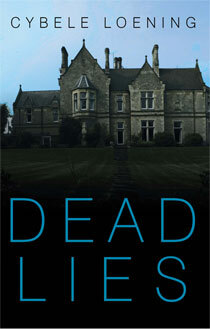 Dead Lies was a well-written suspense novel with just a hint of romance. Enough where I'm definitely interested in seeing what becomes of it. Aside from the developed and complex characters, the plot was well thought out and I honestly didn't know who the killer was until it was revealed. I had guessed there was an association with another character, but the actual killer was a surprise. And the reason? Even better. Didn't really see it coming until I was supposed to. So good job there. I felt the characters really added an important element to the story. They were all complex with their own stories and reasons for their actions. There were a lot of secrets being kept and being revealed throughout the book and the way the characters handled their pain and revelations was great to watch. I like how all of their lives were twisted together and it all just added another layer to the story. I really liked Anna because she was a strong woman who knew herself as a person even though she was grieving and a bit cautious about forming new relationships, with good reason. I really liked her interactions with Jerry Kreeger. There was a lot of chemistry between them even while they were working trying to find their killer. This is the romance I'm interested to see progress in the next book. The writing was really good and the author is really talented when it comes to adding just the right amount of detail to fully engage the reader but not give the story away. I think I've really been missing out with this genre because if most of the books, or even half are written like this, I may have found my next go to genre. I really enjoyed this book and look forward to more from this author and the next book in the series! 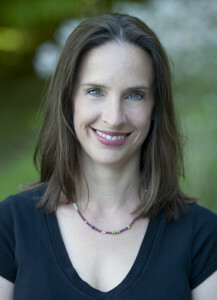 Becoming a novelist was a dream come true for Cybele Loening, and one that was many years in the making. Like many aspiring writers and creative types, when she completed her education, she didn’t think she could make a living doing what she loved. So, she took a job that was related to writing but not actually writing: She became an editor. She loved editing but never gave up her dream of writing a novel someday. It wasn’t until she was in her late thirties that she finally realized “someday” was right now. After many years of working in Corporate America, she was burned out of her job and exhausted by city living. She realized she was giving her best energy to a career and life that no longer fit. So, she took a huge leap of faith and quit her job to write full-time. 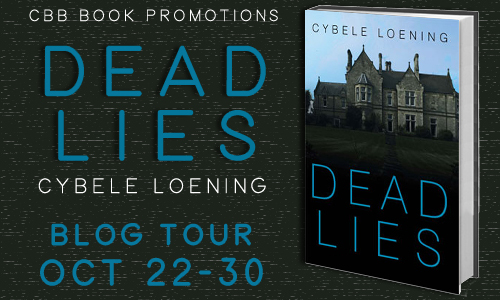 The book she began writing eventually became Dead Lies. Quitting her job was a scary step, but it changed her life. Tapping away at her keyboard, she realized she was happier than she had been in a while. She felt creative and energized again and was thrilled to have discovered her passion, her life’s work. That one brave step into the unknown led to other wonderful changes in her life. For years she had dreamed of living in the country, so she began renting a cottage in Litchfield County, Connecticut, to see how it felt. She never looked back. And it was in this idyllic place that she met her soul mate and now husband, the life and business coach, Brooke Loening. They married a few years later, and together they renovated a home in which they now both live and work. Spending her days writing and living in a place she loves, she has found bliss she never thought possible. A spiritual seeker and lover of all of life’s mysteries, Cybele is hard at work on the next book in the Anna Valentine Detective Series and a memoir. She is also a blogger with a global mission: to help women achieve their dreams and live their very best lives. You can find her at www.cybeleloening.com, and on Facebook (Cybele Loening and Cybele Loening Mysteries) and Twitter (@CybeleLoening). I'm glad you enjoyed this! Thank you so much for hosting a tour stop and sharing your thoughts!